Say hello to Queen Chow and The Smelly Goat. It's been a big year for Sydney hospo group Merivale. 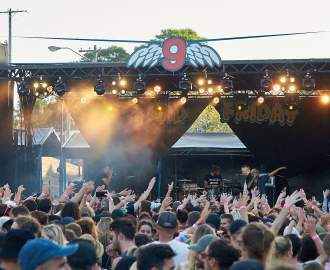 On top of reopening The Newport back in March, they've rounded out the year by opening their long-awaited Oxford Street double venue Fred's and Charlie Parker's and also buying Botany Road's Tennyson Hotel for a cool $37.5 million. And to top off a huge 2016, they're opening another new venue today, Monday, December 12. In April of 2015, they bought the iconic Queen Victoria Hotel in Enmore — and now, 19 months later, they're ready to open her back up. Like Fred's and Charlie Parker's, the Queens Hotel (as it's now known) will comprise of two venues: a restaurant and a bar. Downstairs will be home to Queen Chow, a Cantonese restaurant lead by Papi Chulo duo Christopher Hogarth and Patrick Friesen and dumpling master Eric Koh, formerly of Mr. Wong. 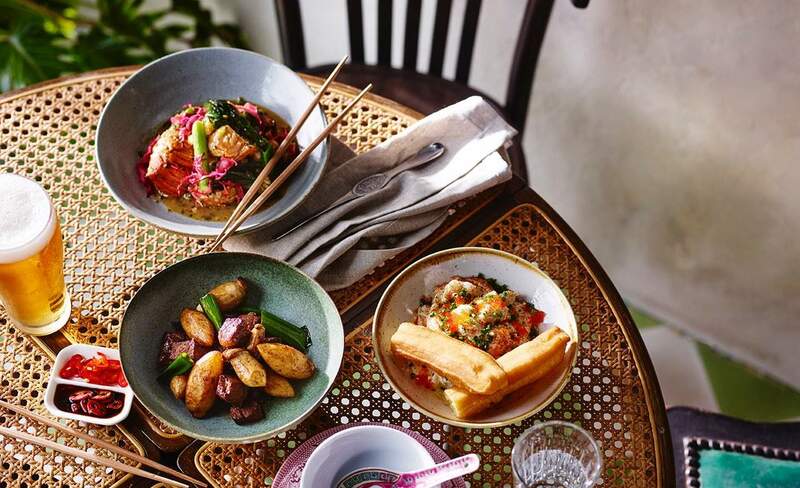 The menu is packed full of twists on traditional Hong Kong street fare like salt and pepper cuttlefish and silken tofu and prawns with chilli bean mayo. They'll also have a whole roast duck with plum sauce on the menu, and a typhoon shelter crab, which is deep fried and served with garlic, chilli, black bean and pulp from soybeans. Dayum. If your tastes run more towards delicious pillows of filled dough, the dim sum menu has been lovingly designed by Eric Koh, guided by his 30 years of dumpling experience. He'll be serving up steamed, baked and fried dumps for lunch, dinner and late night supper — the latter of which should really be a legal requirement of all bars. And once you've gorged to satiation at Queen Chow, head upstairs to The Smelly Goat (excellent name, team) for some bizarre cocktail combos. We've got a lot of faith in the Merivale team (we recently drank a cocktail flavoured with grass from Centennial Park at Charlie Parker's), so we're willing to give their weirder inventions a try — like the Dutch Courage cocktail with carrot, Maker's Mark and white wine. Could go either way. But we're champing at the bit to try the Moloko Plus – it comes with Crunchy Nut milk, white rum and cardamom. Sounds very Momofuku Milk Bar and totally acceptable to drink at breakfast. Naturally, because it's Merivale, you'll be sipping these concoctions in supremely well-styled surrounds. The bar will have a salon feel with fabric-lined walls and black timber panelling, plus an onyx bar top and taxidermy bird boxes filling the space. It's been done in collaboration with Merivale regulars Amanda Talbot and Kelvin Ho of Akin Creative, who have also styled the downstairs restaurant as well. The Queens Hotel is Merivale's first venture into Sydney's inner west, so it'll be interesting to see how to the venue is received by locals. End-of-year drinks, anyone? The Queens Hotel opens at noon on Monday, December 12 at 167 Enmore Road, Enmore. It will be open for lunch, dinner and supper seven days a week. For more info, visit merivale.com.au/queenshotel.